Time To Change An Archaic Law? 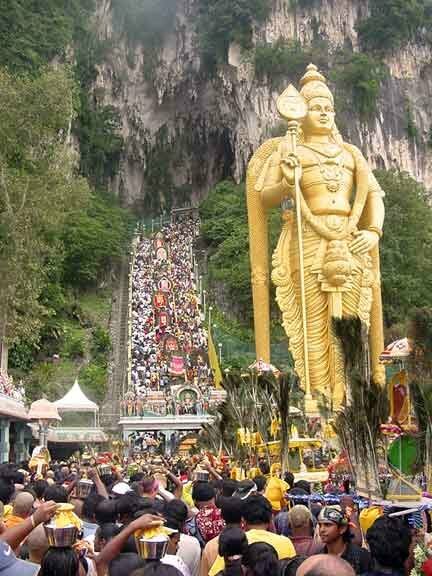 The Thaipusam incident has generated quite a lot of over-the-top reactions from many quarters. The incident has been turned into a loud chorus of accusations about Police brutality, racist profiling and if some internet trolls were to be believed, would degenerate into a racial riot. There are a few things worth noting about the Thaipusam procession this year. Firstly, like the years before, it was held over a period of a day and a night. Secondly, apart from that particular incident, it went smoothly. And most importantly, the Police, contrary to popular belief, had been quite lenient in calibrating (I hate this word) their response to the playing of musical instruments during the event because there were in fact, musical instruments being played despite the ban. Almost all of the devotees who carried the kavadis were accompanied by some musical instruments of sort. The Police did not stop them. The musical instruments were not seized. Why the police decided to take action in that particular incident in now under investigation. So I am not going to discuss it now. The law against the playing of musical instruments during Thaipusam dates back to when Singapore was still a young nation; 1973 to be more precise. Back then, Singapore wasn’t like it is now. We were still building a nation consisting of many disparate races and religions, the racial riots in the 60’s were still fresh, and there were a lot of secret societies fighting for turfs and murdering each other. The law was instituted because the Police then believed that secret societies were using the Thaipusam procession as a way to declare their presence to each other and to intimidate each other through music. They would beat their drums as loud as possible accompanied by spontaneous chants whose words were changed to insult the other groups. And fights would ensue. And that being in the early 70’s, what did the government do? Ban musical instruments. Fast forward to 2015. Should the ban be lifted? Has the country progressed enough to say that the ban is archaic and irrelevant? Are there still secret societies in Singapore? If the reason for the ban is no longer in existence, then we say, lift the ban. Let Thaipusam be the celebration that it is meant to be with loud music and chants and of course the colourful procession. Let it be the `chingay’ for the Indians and Singaporeans at large. Of course there will always be a risk of incidents of disorderly behaviour as you would expect from gatherings such as this. That is why we have Police presence in not only Thaipusam, but Chingay, National Day parades, the various light-ups and such. There are already laws that the police could use to tackle unruly and disorderly behaviours. And the authorities could even engage the Indian community to ensure that the event would stick to its intended purpose; a religious festival. Perhaps the police could learn something from their Malaysian counter-parts on how they tackle one of the biggest Thaipusam festival in the world; the one at Batu Caves.